You earn 60 loyalty point(s). 60 points = $0.60. Certified Organic by the Australian Certified Organic. Energise your life with Morlife Spirulina. Spirulina is a plant plankton that contains beneficial nutrients such as chlorophyll, iron, & betacarotene in their natural, easily digestable form. Spirulina therefore provides an alternative to synthetically manufactured supplements and is ideal for sports people, vegetarians and those wanting to improve their energy and nutrition. Spirulina is a filamentous, unicellular, blue-green alga grown in certain countries and consumed as food for humans and animals. It is also widely used to derive additives in pharmaceuticals and food supplements. This alga is a rich source of proteins, vitamins, minerals, fatty acids and other nutrients, especially phytonutrients. With over 60% of protein, Spirulina contains all the essential amino acids, plus some non-essential ones. This is similar to animal proteins; especially Spirulina does not contain saturated fats, or residues of hormones or antibiotics that are in some meats. Vitamins that are found in Spirulina include B1, B2, B3, B6, B12 and folic acid. The minerals include potassium, sodium, phosphorous, magnesium, calcium, iron, manganese, zinc, copper, chromium and selenium. Spirulina also contains important fatty acids such as gamma-linolenic acid and linoleic acid which are Omega 6 fatty acids. There is also plant pigments found in Spirulina, including phycocyanin, chlorophyll, carotenoids, xanthophylls and beta carotene. The abundance of these nutrients makes Spirulina an outstanding supplement. Having all these beneficial nutrients, Spirulina has been experimentally proven, in vivo and in vitro that it is effective against numerous disease such as certain allergies, anemia, cancer, hepatotoxicity, viral and cardiovascular diseases, hyperglycemia, hyperlipidemia, immunodeficiency inflammatory processes and so on. The colour of Spirulina is derived from the green pigment of chlorophyll, which is found abundantly in green plants too. Numerous attention in recent years has been given to the anti-genotoxicity of chlorophyll. A study evaluated the effect of chlorophyll on mutagenesis and tumour cell growth. All the chlorophyll derivatives tested exhibit identical anti-mutagenic effects and the results indicate that food sources that yield chlorophyll derivatives may play a significant role in cancer prevention. Spirulina contains phycobiliproteins (phycocyanin and allophycocyanin) which are groups of blue proteinaceous pigments that occur in cyanobacteria. In a study, phycocyanin from Spirulina was purified to demonstrate if it had antioxidant activity. The antioxidant activity of different fractions was studied during the phycocyanin purification process through the scavenger activity of the hydroxyl radical. It is observed that an increase in phycocyanin content was related to an increase in the antioxidant activity in different fractions. Therefore phycobiliprotein phycocyanin is the component mainly responsible for the antioxidant activity. Phycocyanin also exerts anti-inflammatory effects in some animal models of inflammation. The effects of phycocyanin on prostaglandin E2 concentrations and phospholipase A2 activity were determined in arachidonic acid and TPA-induced mouse ear oedema respectively. Phycocyanin inhibited prostaglandin E2 levels in mouse ear treated with arachidonic acid and moderately reduced phospholipase A2 activity in TPA-induced mouse ear inflammation test. These results provide the evidence that phycocyanin may have anti-inflammatory effects. The anti-inflammatory effect of Spirulina was also studied in zymosan-induced arthritis in mice. Spirulina was administered for eight days after the mice were injected with zymosan, which can cause an increase in Beta-glucuronidase level. Beta-glucuronidase level was measured in the synovial fluid and the level was found to be reduced significantly by Spirulina administration. The anti-arthritic effect exerted by Spirulina may be partly due to the constituent of phycocyanin. The effect of Spirulina on allergic reactions has been investigated by Korean researchers. Systemic allergic reactions of rats were induced by the compound 48/80, a histamine-releaser, and local allergic reactions were activated by anti-dinitrophenyl IgE. Spirulina dose-dependently inhibited histamine release from rat peritoneal mast cells. The results indicate that Spirulina inhibits mast cell-mediated immediate-type allergic reactions in vivo & in vitro. The effect of Spirulina on iron status during pregnancy and lactation was assessed based on haemoglobin, packed cell volume, serum iron, total iron binding capacity and ferritin levels of rats. Diets containing Spirulina resulted in significantly higher iron storage and haemoglobin content during the first half of pregnancy and lactation. Spirulina appears to be effective in improving the iron status of rats during pregnancy and lactation. This alga has a potential use for those with anaemia. There are clinical and experimental studies of Spirulina efficacy in chronic diffuse liver diseases. In a trial, sixty patients with chronic diffuse liver disorders and seventy experimental animals with toxic affection of the liver were examined while being administered Spirulina. The hepatoprotective properties of Spirulina are referable to its anti-inflammatory, antioxidant, membrane-stabilising, and immuno-correcting actions. Therefore, the supplementation of Spirulina is believed to be pathogenetically validated in chronic diffuse liver conditions, permitting stabilizing the process and preventing the transformation of chronic hepatitis into hepatocirrhosis. Another study confirmed the liver-protective action of Spirulina. The capacity of Spirulina was assessed to prevent fatty liver development induced in rats by carbon tetrachloride. Liver and serum lipids were quantified two to four days after treatment with carbon tetrachloride. Liver triacylglycerols were significantly lower in rats fed on Spirulina diet than in rats without Spirulina diet after carbon tetrachloride treatment. The increased liver cholesterol values, induced by carbon tetrachloride treatment, were not observed in rats that received Spirulina. These results support the potential hepatoprotective role of Spirulina. The role of hypoglycaemic and hypolipidemic of Spirulina have also been evaluated. In one study, twenty-five subjects with type 2 diabetes mellitus were randomly assigned to receive Spirulina or placebo. Two-months of supplementation of Spirulina resulted in an appreciable lowering of fasting blood glucose, postprandial blood glucose levels and triglyceride levels. These findings suggest the beneficial effect of Spirulina supplementation in controlling blood glucose levels and in improving the lipid profile of subjects with type 2 diabetes mellitus. A Russian article reviewed the biological activity of Spirulina as being suitable for use as bioactive additive. Spirulina produces an immunostimulating effect by enhancing the resistance to infections, the capacity of influencing hemopoiesis, stimulating the production of antibodies and cytokines. Under the influence of Spirulina macrophages, T and B cells are activated. The sulfolipids of Spirulina have proved to be effective against HIV. The preparations of Spirulina have been found active against herpes virus, cytomegalovirus, influenza virus etc. The preparations are also regarded as functional products contributing to the preservation of resident intestinal microflora, especially lactic acid bacilli and bifidobacteria, and to a decrease in the level of Candida albicans. The enhancement of antibody production was studied in mice that were fed a Spirulina diet. These mice showed increased numbers of splenic antibody-producing cells in the primary immune response to sheep red blood cells. The percentage of phagocytic cells and proliferation of spleen cells were significantly increased. Spirulina also significantly enhanced interleukin-1 production from peritoneal macrophages. These results suggest that Spirulina enhances the antibody production, as well as the immune response. Ayehunie et al carried out a study investigating the inhibition of HIV-1 replication by Spirulina. These blue-green algae inactivated HIV-1 infectivity directly when preincubated with virus before addition to human T-cell lines. It also inhibited peripheral blood mononuclear cells and Langerhans cells. It is concluded that Spirulina contains antiretroviral activity that may be of potential clinical interest. The antiviral activity of Spirulina was studied by a microplate inhibition assay using several viruses. Spirulina was found to inhibit the infection for herpes simplex virus type 2, pseudorabies virus, human cytomegalovirus and herpes simplex virus type 1. The highest antiviral activity was for herpes simplex virus type 2 and the herpes virus infection was inhibited at the initial events (adsorption and penetration) of the viral cycle. Bioactivity-directed fractionation of an extract from Spirulina leads to the isolation of a novel sulphated polysaccharide named calcium spirulan as an antiviral principle. Calcium spirulan was found to inhibit the replication of several enveloped viruses, including herpes simplex virus type 1, human cytomegalovirus, measles virus, mumps virus, influenza A virus and HIV-1. It was revealed that calcium spirulan selectively inhibited the penetration of virus into host cells. The retention of molecular conformation by chelation of calcium ion with sulphate groups was suggested to be indispensable to its antiviral effect. The chemo- and radio-protective effects of polysaccharide of Spirulina were investigated on the hemopoietic (formation of blood cells) system of mice and dogs. Injection of cyclophosphamide and 60Co-gamma irradiation were used to induce bone marrow damage in mice and dogs respectively, and the animals were given Spirulina in vivo. After 12 and 21 days of administration, the whole blood cells and nucleated cells in bone marrow were measured and the DNA in bone marrow was inspected by UV-spectrophotometer. 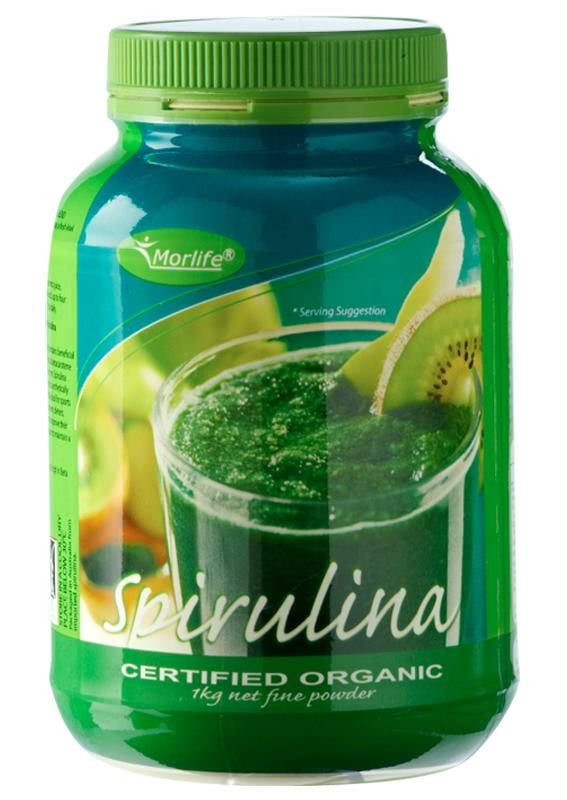 Spirulina increased the level of the white cells in blood and nucleated cells and DNA in bone marrow in mice, but has no effects on red cells and haemoglobins. Spirulina increased the level of red cells, white cells and haemoglobins in blood and nucleated cells in bone marrow in dogs. It is concluded that Spirulina has chemo- and radio-protective capability, and may be a potential adjunct to cancer therapy. In summary, Spirulina has numerous benefits including antioxidant, anti-inflammatory, anti-arthritic, anti-allergic and antiviral properties. Spirulina also helps to stimulate the immune system by enhancing the antibody production, improve iron status, stimulate blood cell formation, improve liver function and maintain healthy blood sugar and lipid levels. It also has chemo- and radio-protective actions, as well as cancer-preventing effects. More benefits of Spirulina are still being discovered and studied. Spirulina is truly a comprehensive food supplement for improving health and optimising body functions, especially with its high content of proteins, vitamins, minerals, fatty acids and other nutrients. Add I teaspoon of Spirulina Powder to juice, such as pineapple, guava, or orange; up to 4 times daily. Alternatively, mix with smoothie, shakes, or add to other food, like yoghurt, or sprinkle over food with salt, pepper and other herbs and spices. Children ½ to 1 teaspoon daily. This powder contains pure spirulina powder, organically certified, grown in conducive environment, with naturally approved nutrient input to the controlled ponds, free from pesticides & herbicides, under stringent quality conditions, HACCP approved food safety management and ISO 9001 Quality Management approved. Ayehunie S., Belay A., Baba T.W., Ruprecht R.M., Inhibition of HIV-1 replication by aqueous extract of Spirulina platensis (Arthrospira platensis), J Acquir Immune Defic Syndr Hum Retrovirol. 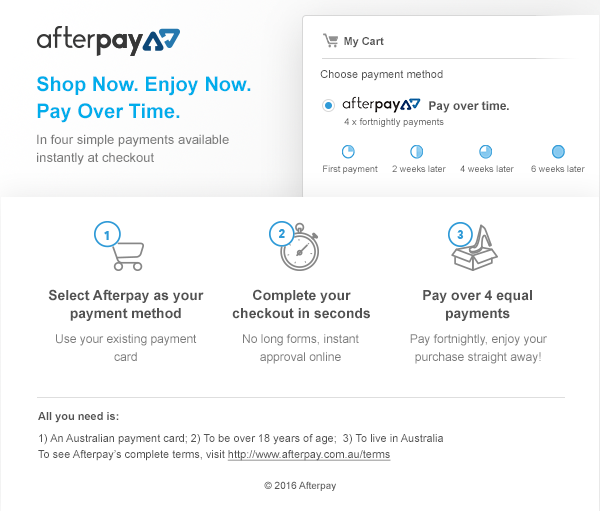 1998 May 1; 18 (1): 7-12. Blinkova L.P., Gorobets O.B., Baturo A.P., Biological activity of Spirulina, Zh Mikrobiol Epidemiol Immunobiol. 2001 Mar-Apr; (2): 114-8. Chamorro G., Salazar M., Araujo K.G., dos Santos C.P., Ceballos G., Castillo L.F., Update on the pharmacology of Spirulina (Arthrospira), an unconventional food, Arch Latinoam Nutr. 2002 Sep; 52 (3): 232-40. Chernomorsky S., Segelman A., Poretz R.D., Effect of dietary chlorophyll derivatives on mutagenesis and tumour cell growth, Teratog Carcinog Metagen. 1999; 19 (5): 313-22. Gorban’ E.M., Orynchak M.A., Virstiuk N.G., Kuprash L.P., Panteleimonova T.M., Sharabura L.B., Clinical and experimental study of spirulina efficacy in chronic diffuse liver diseases, Lik Sprava 2000 Sep; (6): 89-93. Hayashi T., Hayashi K., Maeda M., Kojima I., Calcium spirulan, an inhibitor of enveloped virus replication, from a blue-green alga Spirulina platensis, J Nat Prod. 1996 Jan; 59 (1): 83-7. Hayashi O., Katoh T., Okuwaki Y., Enhancement of antibody production in mice by dietary Spirulina platensis, J Nutr Sci Vitaminol (Tokyo) 1994 Oct; 40 (5): 431-41. Hernandez-Corona A., Nieves I., Meckes M., Chamorro G., Barron B.L., Antiviral activity of Spirulina maxima against herpes simplex virus type 2, Antiviral Res. 2002 Dec; 56 (3): 279-85. Kapoor R., Mehta U., Supplementary effect of spirulina on haematological status of rats during pregnancy and lactation, Plant Foods Hum Nutr. 1998; 52 (4): 315-24. Kim H.M., Lee E.H., Cho H.H., Moon Y.H., Inhibitory effect of mast cell-mediated immediate-type allergic reactions in rats by spirulina, Biochem Pharmacol. 1998 Apr 1; 55 (7): 1071-6. Parikh P., Mani U., Iyer U., Role of Spirulina in the control of glycemia and lipidemia in type 2 diabetes mellitus, J Med Food 2001 Winter; 4 (4): 193-199. Pinero Estrada J.E., Bermejo Bescos P., Villar del Fresno A.M., Antioxidant activity of different fractions of Spirulina platensis protean extract, Farmaco 2001 May-Jul; 56 (5-7): 497-500. Remirez D., Gonzalez R., Merino N., Rodriguez S., Ancheta O., Inhibitory effects of Spirulina in zymosan-induced arthritis in mice, Mediators Inflamm. 2002 Apr; 11 (2): 75-9. Romay C., Ledon N., Gonzalez R., Effects of phycocyanin extract on prostaglandin E2 levels in mouse ear inflammation test, Arzneimittelforschung. 2000 Dec; 50 (12): 1106-9. Torres-Duran P.V., Miranda-Zamora R., Paredes-Carbajal M.C., Mascher D., Diaz-Zagoya J.C., Juarez-Oropeza M.A., Spirulina maxima prevents induction of fatty liver by carbon tetrachloride in the rat, Biochem Mol Biol Int 1998 Apr; 44 (4): 787-93. Turner J., Spirulina, Gale Encyclopedia of Alternative Medicine, Gale Group, 2001. Zhang H.Q., Lin A.P., Sun Y., Deng Y.M., Chemo- and radio-protective effects of polysaccharide of Spirulina platensis on hemopoietic system of mice and dogs, Acta Pharmacol Sin. 2001 Dec; 22 (12): 1121-4.